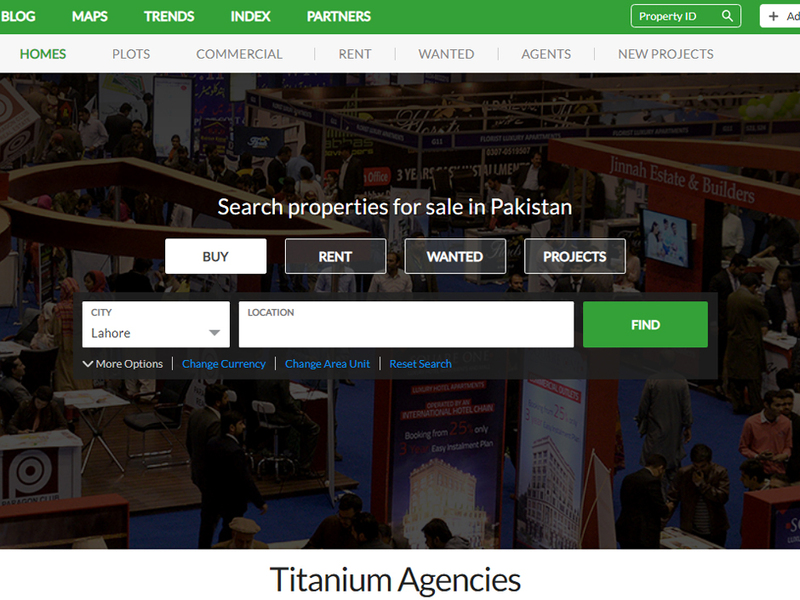 One of Pakistan’s biggest property portals, Zameen.com, has been going strength to strength as it was recently named among top five real estate websites in the world. Simon Baker, the founder of Property Portal Watch (PPW) and former chief executive officer of the REA Group, declared Zameen.com the 5th most effective real estate website across the globe on Wednesday. The list included other international names such as the United Kingdom’s Rightmove, Australlia’s Realestate, United States’ Trulia and Brazil’s VivaReal. During the four-day conference which was held in Bangkok, Zameen.com was praised for its data-driven approach and effective management techniques that ensured the portal’s success. The conference welcomed representatives of 25 companies from across the world who shared their insights and products that are critical to the growth of property portals in the current scenario. According to Baker, 8 to 10 thousand property websites are currently operating across the globe and the numbers is continuously growing with the passage of time. Imran Ali Khan, the Co-founder and Co-CEO of Zameen.com, represented the portal at the conference. The site was created in 2006 and is known today as the most reliable property website in Pakistan. It has closed various ventures rounds in the recent past. The last venture round in January 2016 resulted in Zameen.com raising a whopping $20 million. With these impressive achievements in hand, Zameen.com currently boasts a team of over 600 employees, 3.5 million monthly visits, 3 million property listings, more than 9,000 registered agencies, offices in 9 cities and presence in 30.